Tall Ships brought excitement and spectacle to Hobsons Bay with the return of the magnificent Tall Ships. 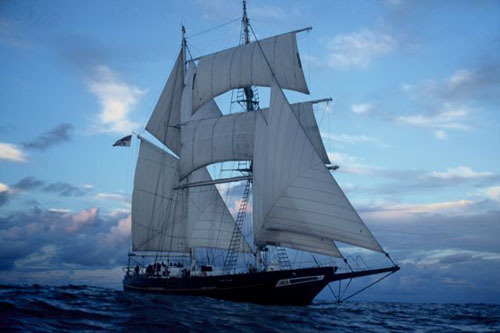 Flagship was Young Endeavour, the gift from the United Kingdom to the Government and people of Australia to mark the Bicentenary in 1988. Tasmania’s largest Tall Ship, the brigantine Windeward Bound joined the event along with Victoria’s own Tall Ship Enterprize in an official Australia Day ‘sail past’ across Port Phillip between Brighton and Williamstown, from 10.30am to 1pm. There were excellent vantage points along the foreshore including Brighton Pier, St Kilda and Port Melbourne, and then off Point Gellibrand, Williamstown at around 1pm. The Parade will be lead by the ex-Sydney Harbour ferry Lady Cutler, now the Melbourne Showboat. 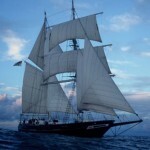 A special attraction was the Alma Doepel, arrived back from Port Macquarie. Alma will be alongside and open to the public from 10am to 5pm on Monday 26 January.